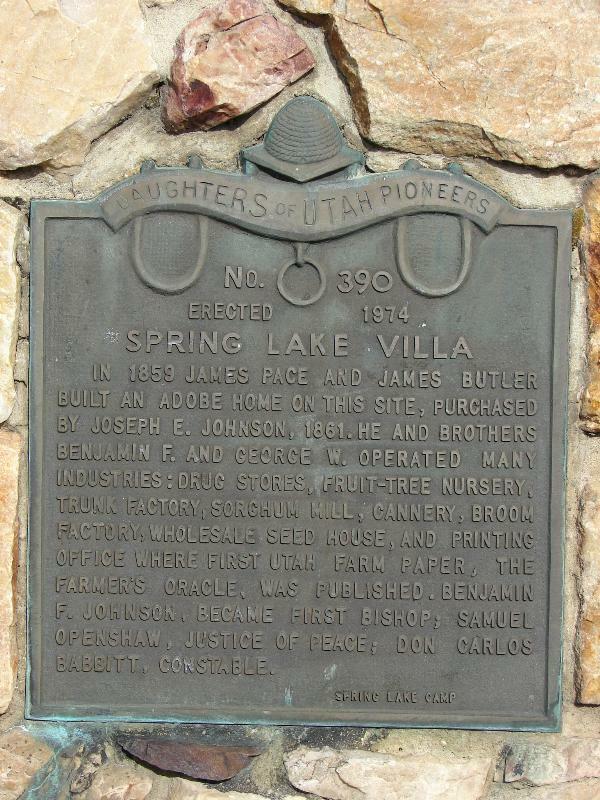 In 1859, James Pace, James Butler built large adobe home on this site which Joseph E. Johnson purchased in 1861. 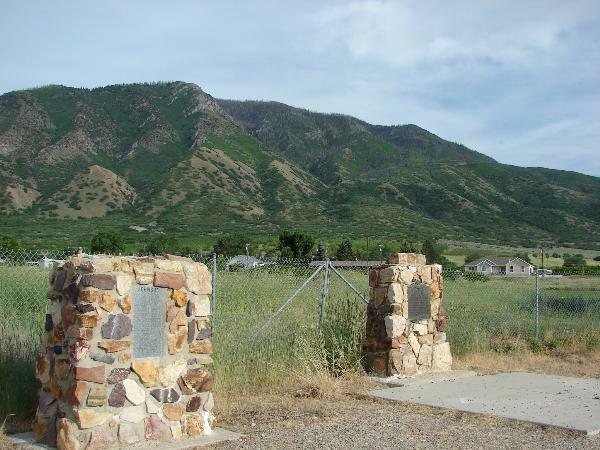 He with his brothers, Benjamin F. and George W., operated many industries; drugstore, printing office where first Utah farm paper, “The Farmer’s Oracle”, was published; fruit-tree nursery, sorghum mill, cannery, broom factory, trunk factory, and wholesale seed house. Benjamin F. Johnson, became first bishop; Samuel Openshaw, Justice of Peace; D.B. Babbitt, Constable.